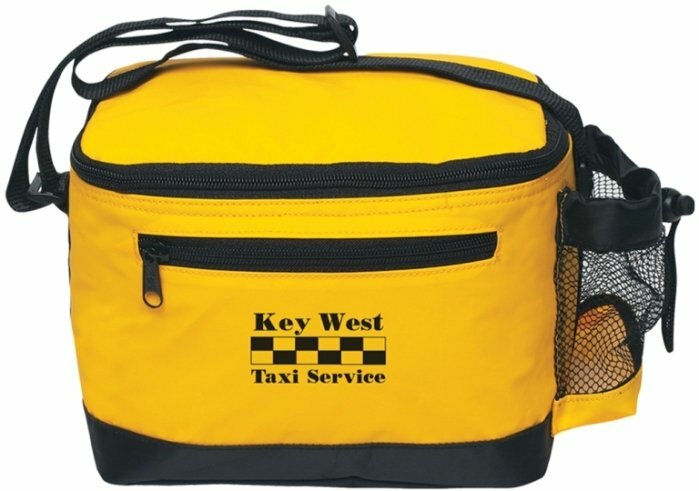 The most sought after 6 can soft sided cooler with good reason, snappy looks, function, logo ready. Applications include employees, universities, hospitals, tech, travel related and promotional items. and 6 beverage can capacity. Overall size is 10" w x 7" h x 6" d.
Price includes a one color print on the front in an area 4" w x 2" h.
I am the marketing director and we needed a low cost cooler product for advertising our latest hotel-golf resort in Florida. I have a lot of duties and got a late start on this project. I found this Premium 6 Pack Cooler on the PII website after just a few minutes and I was thrilled! They even had assorted colors available so I placed my order for 500 coolers. Delivered two days before our grand opening and what a bargain! Five colors in marked boxes. The cooler was exactly as advertised with lots of features and our logo was printed perfectly. I am very happy and definitely a satisfied customer.